It's Valentine's season again and every year it seems that it gets longer and more complicated, so I've created a unique recipe that is SUPER easy to create but will make you look like a rockstar when giving it to someone you love! The basic concept is that love should be sweet, fun, surprising, and maybe even a little bit sticky. That sounds just like the classic red velvet cake and so when I learned that Walmart had the exclusive on the new Red Velvet M&M's® and they were looking for fun recipes I got pretty excited! The fast food industry is always searching for something new and while many are going in the direction of bigger and more ridiculous, Carl's Jr. is going the other direction with their satisfyingly sized new All-Natural Burger, which is available as a single or double. What sets this aside is that it is the first all-natural, no added hormones, no antibiotics, no steroids, grass-fed, free-range beef patty from a major fast food company. 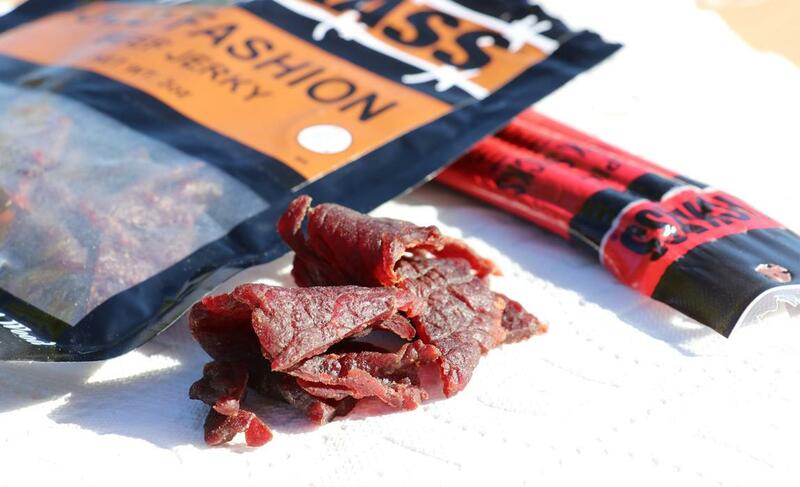 We tried it recently and it tastes great... and now we are giving four of you a chance to win one! Sweets are only a part of the equation when it comes to entertaining during football season - the next essential ingredient is some hearty food that inspires your guests inner rivalries and After considering different foods across this country, "chili" was the one that stood out since no matter where you go - Texas, Cincinnati, Denver, Kansas City, Detroit, etc. Each city has it's own different interpretation of chili that they passionately hold to and will defend, just like they do their favorite football team! So I was pretty excited when I was selected to prepare two of my favorite chili recipes as part of a homegating recipe with Alexia Fries and Onion Rings. It's that time of year again - College Football is almost over and the pro's are getting ready for "The Big Game" so those of us who love to throw parties to go along with sporting events like this know that it's time for us to start practicing as well! Are you ready to go shopping with me and put together some recipes featuring SNICKERS®, Life-Savers®, and Skittles®? I think you'll like what we came up with! Sometimes in life you discover great new things completely by accident. That's how we found Viva Bar + Kitchen actually... we had gone to have dinner at a different place that sadly we left feeling we needed to go somewhere else to eliminate the "bad feeling" left in our belly. When we walked by Viva, the super friendly hostess on the sidewalk told us it was "taco tuesday" and so we figured, "what the heck" and walked in to check it out. That taco and that experience was good enough that before the end of our snack that we had already booked our New Year's Eve dinner here the next day. Since 1969, when Byron and Virginia Hardin opened their first location in Ocean Beach, Hodad's has been a legendary burger joint in San Diego. With an atmosphere that borders on kitschy tourist trap but somehow manages to stay authentic, this is a must-visit location for anyone visiting the city. 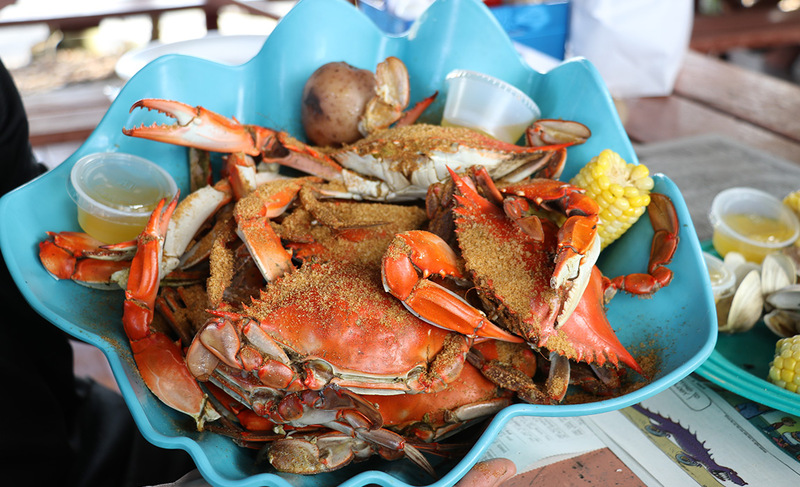 However, what makes it even more awesome is that it is more than just a "cool place" to grab a bite, it is serving up some of the most amazing burgers in the whole world. For those of you who have never been to Ocean Beach, it is a beach town located just north of the city and is full of hippies / surfer culture, so it is also great for people watching. This is a sponsored post written by me on behalf of Dr Pepper Snapple Group. All opinions are 100% mine. 7UP is a great mixer that should be on your holiday shopping list right there next to lights and mistletoe and so I was excited when I was invited to join this campaign to share with you some of my favorite cocktail recipes using it. 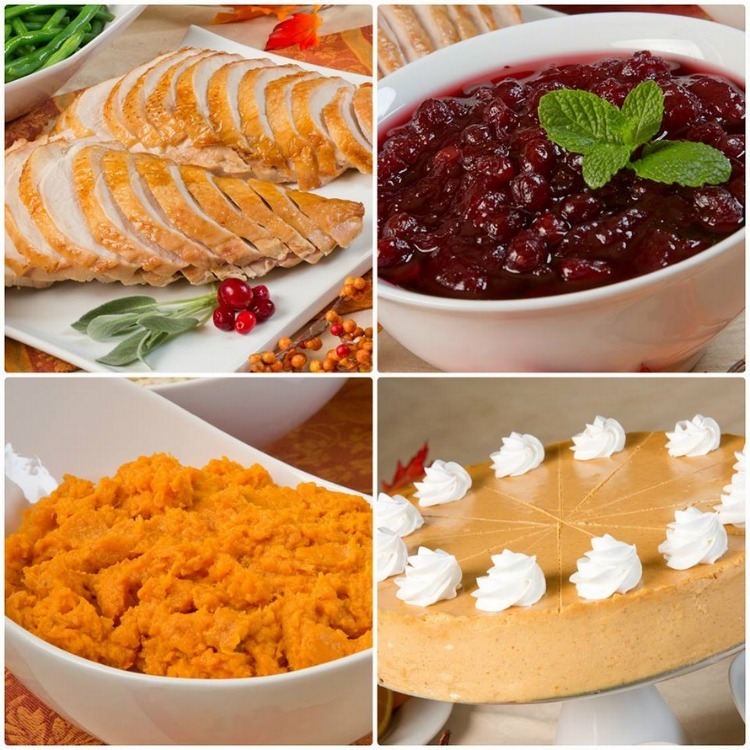 Thanksgiving is fun, you get to spend time with family, drink and eat a bit too much, watch football, boast about your accomplishments of the past year and then do dishes, struggle with what to do with leftovers, juggle too many dishes and not enough space... Wait? What? 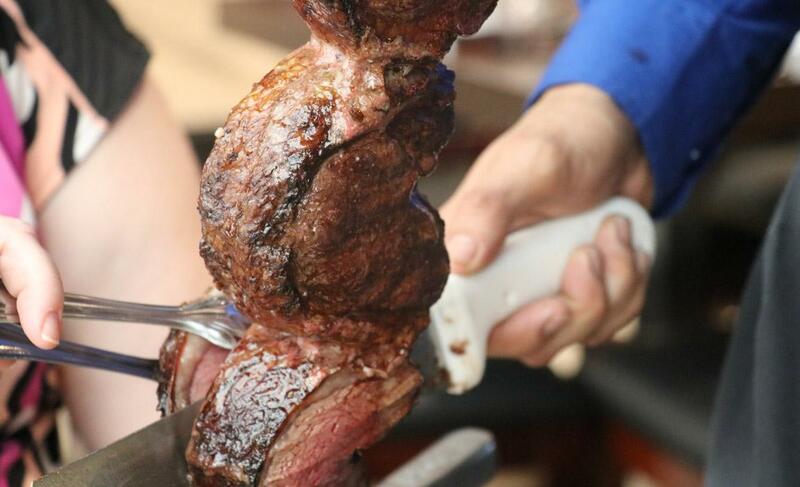 That's not fun but it tradition and if you are brave enough to try something new there's a great option this year from the folks over at Buca di Beppo - one of my favorite restaurants. I love big over the top burgers, rock and roll, craft beer, and honoring those who serve to keep our country the best in the entire world! 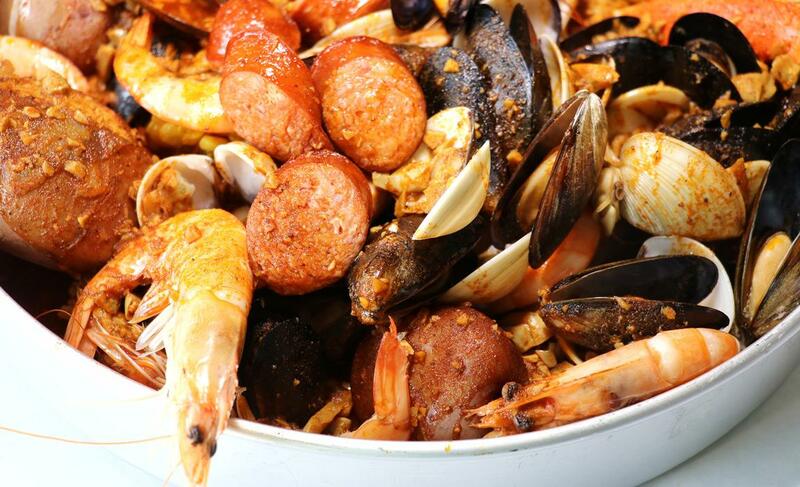 When a place manages to combine all of those into one tasty (if not extremely messy!) package I love to share the news of it with you guys. A scene from Top Gun was filmed here, their bartender loves to create artisanal tequila cocktails and to top it off, San Diego Magazine's readers just named their chef, Accursio Lota, as "Best Chef" in San Diego - so who was I to say no when they approached us recently and invited us to stop by for dinner! Honestly, I am not typically a fan of Italian because I usually associate it with kitschy bottles chianti, heavy but tasteless spaghetti sauce covered pasta and pictures of the pope or mobsters on the walls. Over the past couple years though I am starting to warm up to it. What I discovered at San Diego's Solare Ristorante was a delightful interpretation of classic Italian but merged with the essence of the Southern California farm-to-table movement. If you aren't familiar with Carmel California, I bet you are familiar with it's cousins of Pebble Beach and Monterey. Don't worry though, there's a lot to offer in Carmel itself including a great beach, great food, unparalleled driving experiences in Big Sur, sports, and of course it is one of the most dog friendly cities in America. 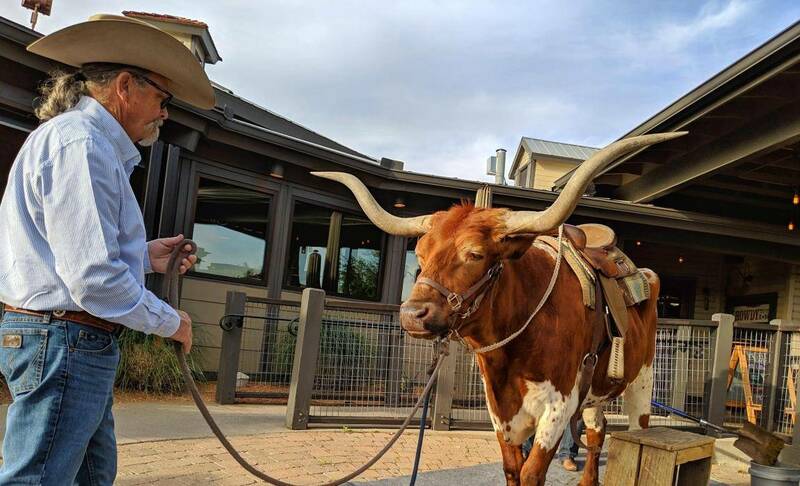 Oh yeah and many celebrities call Carmel home so don't be surprised if you see them walking around town including Brad Pitt and former mayor of Carmel, Clint Eastwood. I love to drink bourbon, the sweet brown spirit that tastes so good in a rocks glass or mixed together with other ingredients to form a delicious old fashioned, a whiskey sour, or a mint julep. But bourbon also works great with cooking and baking too and luckily I am not alone in my love for exploring the application of bourbon with preparing food, so I did a quick roundup of some of my favorite recipes that include bourbon in them! 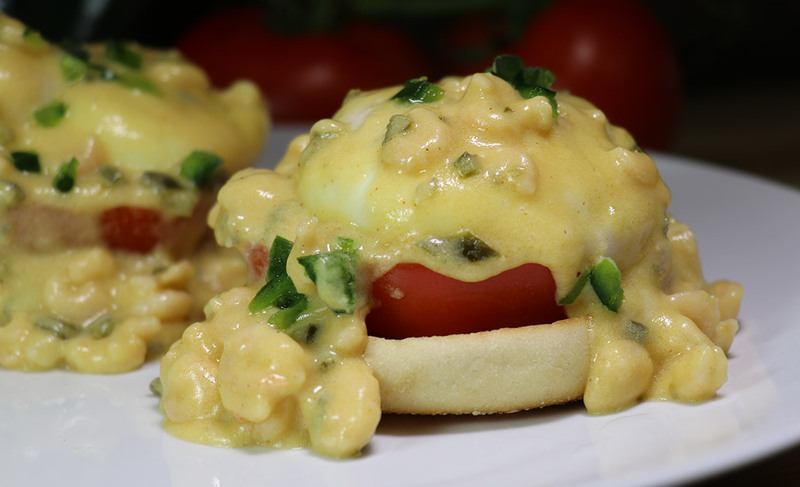 The first is my all time favorite recipe featuring bourbon! 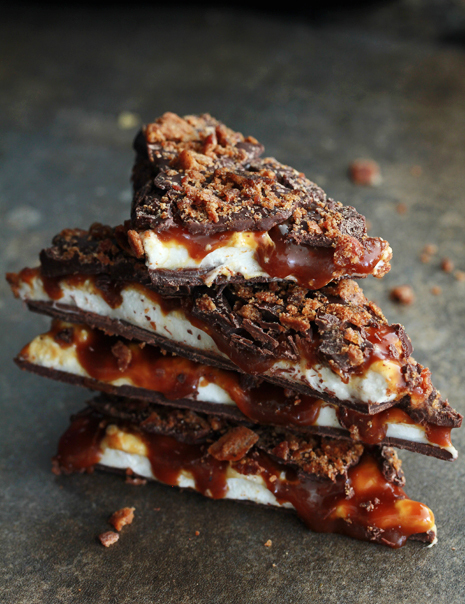 It is a recipe forWhiskey, Caramel, Marshmallow, and Bacon Bark from Endless Simmer. I actually discovered this on Pinterest and have made it several times since then. Unfortunately I am not as clever of a cook as they are but the nice thing about this recipe is that even if you have some extra crystals in the caramel or you make the chocolate too thick or the bourbon infused marshmallows are too runny... don't worry! It always tastes great! While deserts are great, Bourbon is a fantastic ingredient to use when creating the ultimate glaze for pretty much any protein you can imagine. In this case, we LOVE this recipe for Maple-bourbon Glazed Chicken Wings from Yummly. 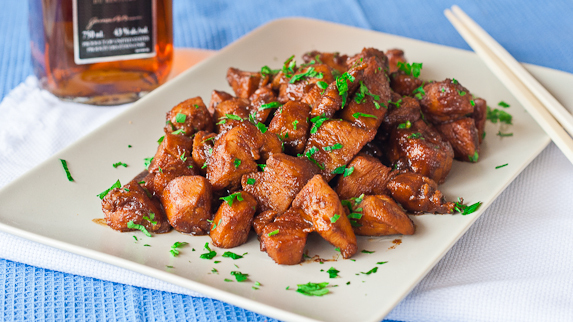 As we continue our tour of mixing bourbon and proteins you can't miss the iconicBourbon Chicken with this recipe I found on Yummly. 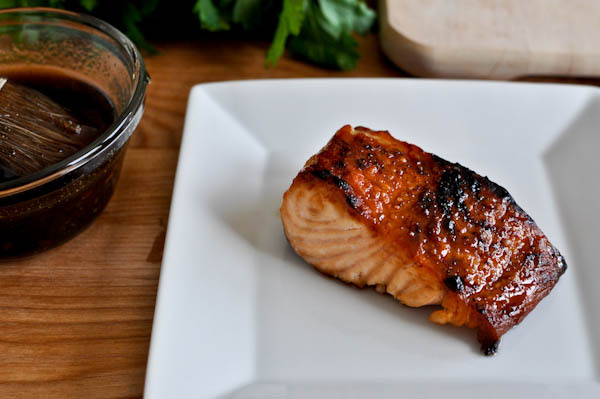 This recipe for Bourbon Glazed Salmon that I found on Yummly and hammers home the point that bourbon makes a remarkably find ingredient to put on just about any kind of grilled protein! 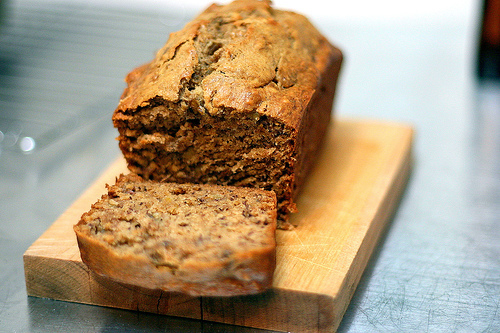 Let's end this roundup with some delicious Bourbon Banana Bread from Smitten Kitchen. NOTE: image credits are from the linked-to website below the image. If you are the owner and would like me to remove the image and link, please let me know and we will remove it immediately. This was my first time visiting the west coast of Mexico so I wasn't really sure what to expect - and frankly all you hear these days about the Pacific coast is about how dangerous it is. While that may be true in spots, during a recent tour of Ensenada Mexico I found it a very fun and unusual, with more to do than a frankly was expecting. Unlike the Caribbean cruise ports I am used to, Ensenada is a real town with people that lead real lives and aren't just there to look pretty and offer excursions to rich American tourists. However there is some of that too, though it was more like visiting a regular city vs a sanitized "made for tourists" experience. Is the fall chill catching up with you? 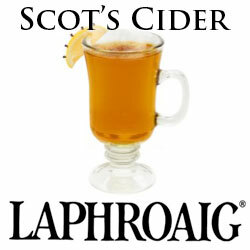 Why not try this recipe that Laphroaig sent us for a Scot’s Cider. Build in a pre-heated coffee mug. 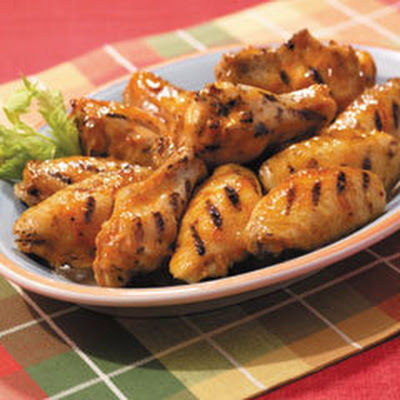 T-Fal ActiFry - Jerk Wings Recipe! This is a follow-up to our ActiFry review that we did earlier. This time, we are making Jerk Wings - though you can take this base recipe and add anything you want to season your wings! T-Fal ActiFry - Bacon Fries Recipe! Here is a follow-up to the ActiFry review we did recently.